Looking for reliable cleaning services in Green Point has never been easier. weClean is only a call away to take your cleaning miseries away. If you are looking to replace your current cleaning service with a more efficient and reliable cleaning service then you have come to the right place. At weClean we pride ourselves on excellent customer service. We listen to our clients needs and then assist you in making the right decision for your cleaning requirements. 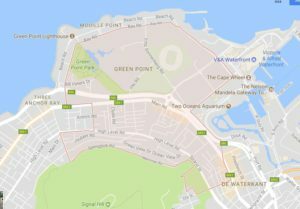 We have been operating in the Green Point area and surrounds for over 6 years. We have a solid track record with clients such as Sandak Lewin Trust that manage many commercial and residential buildings in the Cape Town area including Green Point. The Portside is building and Taronga Mansions to name a few are buildings we currently clean. We are not limited to only contract cleaning services. We also offer once off carpet deep cleaning, mattress deep cleaning and upholstery cleaning services to homes and offices. Speak to us about your cleaning needs.